In the City of Clustered Spires, the steeples aren't alone in their impressive trajectories. This month, we recognize eight of Frederick's most successful young entrepreneurs who have also risen above the ordinary, and continue to reach higher. Below are the stories of this well-accomplished group of Frederick business owners --- all of which are under the age of 35. For each, choose to 'read on' for a chance to hear their unique perspectives and the lessons learned throughout their business journey so far, as well as for a sneak peak at what they have lined up next. 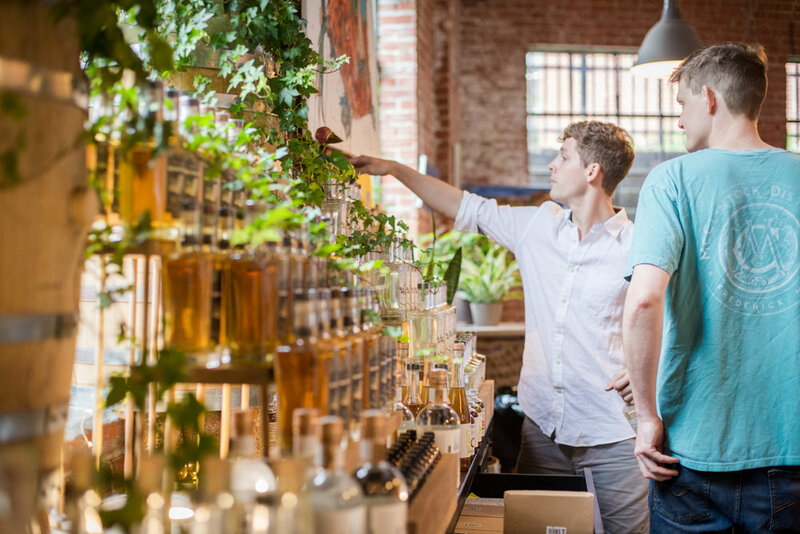 A business plan that began as mere dorm room discussions between two college friends has grown into Maryland's first and only certified organic distillery. Just 17 months into the business, Tyler and Braeden's spirits have gained international attention -- including, most recently, top honors at the New York International Spirits Competition. McClintock Distillery, which offers vodka, gins, and whiskeys, also hosts regular tastings & classes, and serves as a prominent wedding & events venue along Frederick's iconic Carroll Creek. Read on-- Spirited Entrepreneurs: Tyler Hegamyer & Braeden Bumpers. Recognizing an opportunity for a new style of physical therapy, Dr. Josh Funk - a former DI athlete - established Rehab 2 Perform in 2014. His model offers rehabilitative and preventative services primarily targeted towards active adults and competitive athletes, but with a unique emphasis on the 'physical' part of therapy. By 2016, the practice had already outgrown its original space. 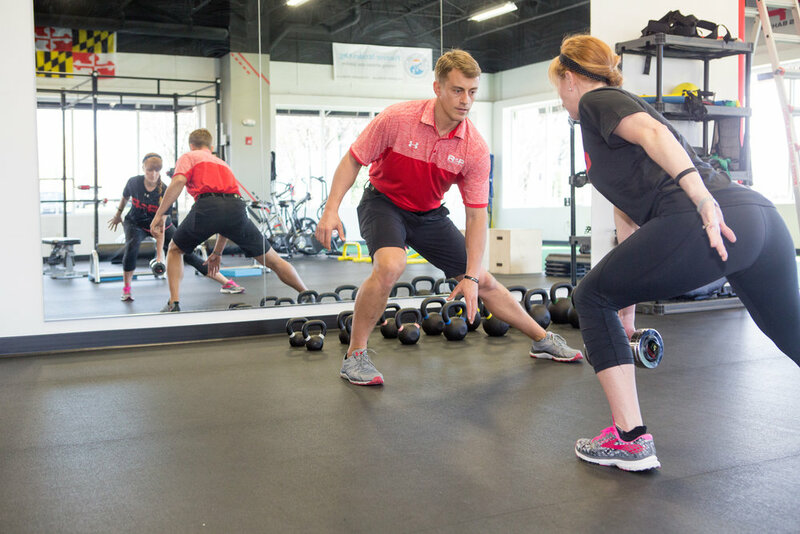 With 14 employees now on staff, Rehab 2 Perform operates at two locations - in Frederick and Germantown, and recently was contracted to provide on-campus athletic training for St. John's Catholic Prep. In the month of May alone, the practice will see 1600 sessions. Read on -- A Man on the Move: Dr. Josh Funk. Seth Clarke works full time in his family's local business and serves in the U.S. Army reserves ... which he enlisted in at the age of 28. His wife, Carla, spends her day as an attorney in Downtown Frederick. In the spare time they somehow manage to find, the energetic couple combines forces to pull off an impressive house flipping business. Under his company, Rising Realty LLC, Seth puts his project management skills to work - organizing the re-positioning strategy and renovation work. As a fully-licensed lawyer, Carla's Clarke Realty then serves as the broker - handling both the buying and selling processes. The accomplished pair is currently working their way through their 12th project together. Read on -- Building Homes Together: Seth and Carla Clarke. Two exciting years later, Erika now distributes her products to five local retailers, and owns & operates Hippy Chick Hummus - a plant-based cafe and kombucha bar located in the heart of Downtown Frederick. Read on --- Farmers Market to Market Street: Erika Brown. After a three year tenure at a prestigious accounting firm, Frederick-native Luke Markey decided to take a leap of faith into the unknown. Quitting the safe career path before him, he returned home to learn the trade of blacksmithing from his father. When his metal design concepts began to diverge from his father's model, he & his brother split off to form a separate business. Now, Shield Co Art operates independently offering 3-D custom metal artwork - often used as signage - to high end commercial clients. 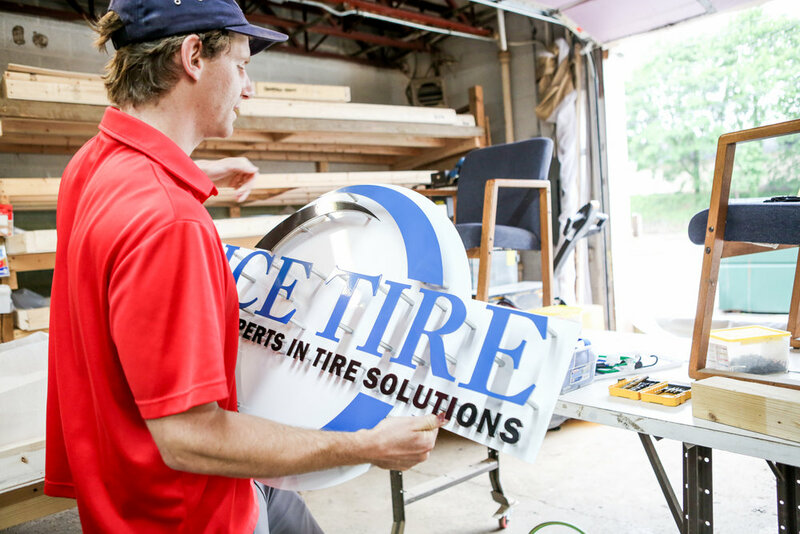 The rapidly growing business currently has seven employees, and has signs placed as far out as Hawaii. We would be remiss to not include that this features' photographer is herself a thriving entrepreneur under the age of 35. Self-taught in both photography and business, Mary Kate McKenna has been providing her services to families and corporate clients for 14 years. Her business has grown to additionally employ an associate photographer and editor. Though impossible to estimate the number of memories she has captured over the years, she notes the volume requires her to have her shutters replaced on her cameras at least once a year.